Muhlenbergia capillaris or Pink Muhly grass, a grass native to North America, looks beautiful in mass plantings or as accents. It is considered one of the showiest of the ornamental grasses. Pink Muhly grass provides an exceptionally soft texture and contrast with broadleaf plants; it also creates movement as leaves and blooms sway in the wind. The tiny pink blooms begin to form in early-fall, providing a beautiful fall display through the fall season. The density of the small pink flowers makes them appear as if in a cloud. Dried flowers can be left on the plants through winter. This clumping grass has a fountain like form with thin leaf blades that are a medium green. 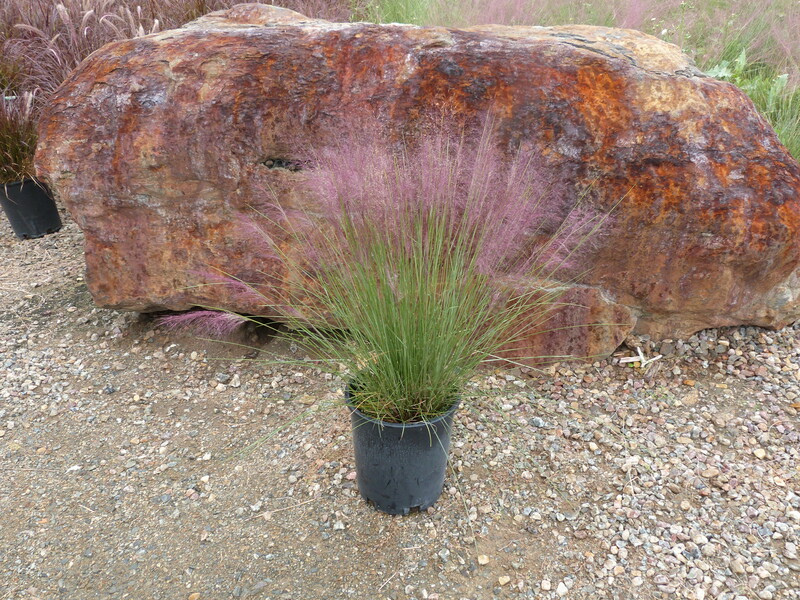 Pink Muhly grass is easy to care for as it can grow in varying soil conditions, tolerates humidity, is pest and disease free, and drought tolerant once established. This fast growing grass is semi-evergreen and should be cut back in late-winter or very early spring to remove dead foliage. In the right settings, Pink Muhly can reseed freely. Plants are Deer resistant.